The National Economic Council (NEC) met on Thursday but did not discuss the crucial matter of a new minimum wage for Nigerian workers, an official said. The NEC is headed by Vice President Yemi Osinbajo and has all the 36 governors and some ministers as members. Briefing State House correspondents at the end of the NEC meeting which held at the State House Presidential Villa, the Bauchi State Governor, Mohammed Abubakar, in response to inquiries said "the issue of minimum wage was not discussed at NEC today." The Minister of Labour and Employment, Chris Ngige had last week told reporters that while labour unions are asking for N30,000 per month, the federal government proposed N24,000 per month and state governors proposed N20,000. Mr Ngige said the tripartite committee involved in negotiations will continue to meet to arrive at a figure. Labour groups however, insisted that they will not accept anything less that N30,000. The labour leaders including the presidents of the Nigeria Labour Congress (NLC) and the United Labour Congress, have condemned Mr Ngige's statement, saying the tripartite committee already agreed on N30,000. Mr Abubakar on Wednesday said the issue was not discussed because the governors are part of the tripartite committee and are allowing negotiations to continue. "We are represented by six governors in the negotiations," he said. 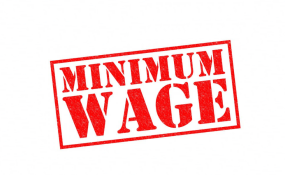 PREMIUM TIMES earlier reported how the NLC has called a crucial meeting next week to discuss its next action should the government not accept the N30,000 minimum wage.